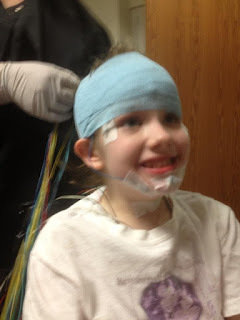 This week we had another sleep study for Abby. Since her Rett Episodes of tremors and jerks almost always happen as she is awakening we need to find out what is going on. Or at least the doctors do. Personally I think it is all Rett Syndrome and kind of it is what it is. 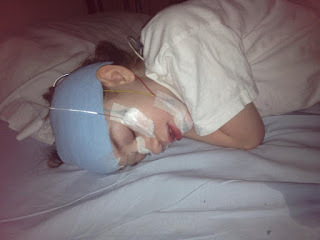 Sleep disturbances come with Rett Syndrome but Abby's can be pretty rough. 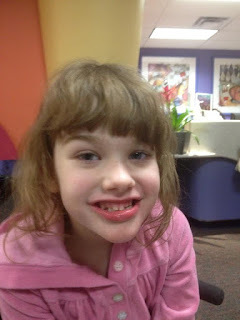 This is my pretty girl while we were waiting to be admitted. She loves the hospital. Little weirdo. It took a while for her to fall asleep. More because she wasn't in her own room I think but shorter than at home where she can roam and play in her padded bed. I think her sleep was pretty normal for her. They tested how many times she wakes. Whether or not she stops breathing. Leg movements. Heart rates and o2 levels. I did not sleep at all. I am pretty sure I was just starting to drift when they came in with their wakey wakey routine. The tech said it would take up to 6 weeks to get results and suggestions but she was pretty sure Abby has Restless Leg Syndrome and that is what keeps her awake. I immediately asked if her leg sensors went off pretty hard 4 times and she woke up. They couldn't fathom how I knew that. 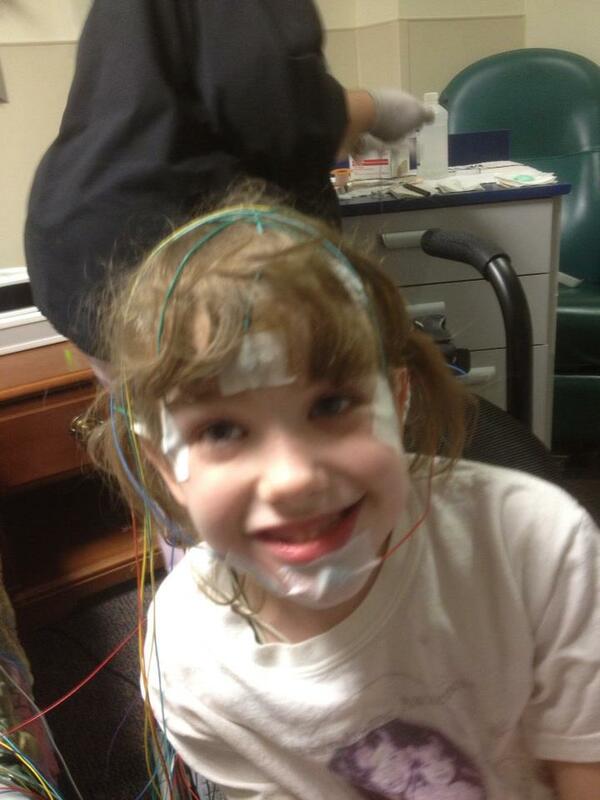 They had come in 4 times shining lights on her or messing with wires. 4 wakes, 4 startles, 4 tremors. 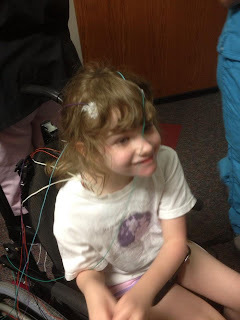 Rett Syndrome. Nonetheless I had to take her to the lab to get poked for iron levels. Hoping someone that knows Abby or anything about Rett Syndrome is the one who reads the report. I hate to think of putting her on another med that will make no difference for something that can't be fixed. Not fair to her. She cant be medicated better. Not for some things. I blame her father for her up all night routine. I'm pretty sure he's part vampire. An incredible outcome to our van being stolen on Thanksgiving day. Like it says in the video the police found our van in a not so savory part of town. I wanted to go down there immediately to see what I could salvage and see the condition but the officer told me it wasn't safe and I could go look at it on Monday at the impound yard. At the impound yard they make you pay the tow fee. Even if you are a victim of crime with a report. I was shocked to find out that you also only get 10 minutes on the lot. 10 minutes to decide if you are going to take your vehicle,gather your belongings or junk it. It had been wrecked..not bad but still. The ignition was gone. There were random pieces of the car in the car. I didn't want to but junked it so I could pay the tow fee. I know I spent the first few minutes just....pissed I guess would be the best way to explain it. Everything was gone except for an umbrella and the tire pressure gauge. 2 boxes and 2 bags going for donations to Goodwill. An extra diaper bag. My husbands backpack, tool box and a tool bag. Abby's car seat. My friends camcorder we had borrowed to tape therapies. I still don't know how to tell her it's gone. Think Ill wait till she asks and just throw up on her shoes and hope that changes the subject. Fast forward to last night. The reporter, Mitch Weber, who absolutely rocks and his cameraman, Rex who also rocks, showed up for a follow up story about the car being found. Rex diddled around here for an hour taking video and making excuses to why Mitch wasn't here. We talked and joked around. No big deal. Mitch finally shows up and asks us a few questions. All those what now and I'm so sorry kinds of things. I remember feeling bad for him because he felt so bad and looked so sad. You can tell he's a fixer. At the end of the interview they wanted us to come outside for a last shot. I should have hear that bell ringing then but I didn't. Ole clueless Terri.So we wrapped Abby up and headed out the door. The second our door opened it was like Paparazzi...thanks to a neighbor with a pro camera that shoots everything. I couldn't see anything while coming down the ramp but flash flash flash. I could never be a celebrity. I don't know how they walk with all that. I turned and Mitch stepped out of the light and had keys in his hand and Santa was next to him and some other people and a Van with a big sign on it. I was floored. Absolutely floored. I think I tackled poor Mitch after Santa got his hug. I'm usually Miss Chatty Cathy and I was speechless. Didn't know how to say Thank You or do a dance so I just stumbled my way through. Piece of advice. Never play poker with Mitch Weber, He was good. I had no clue. 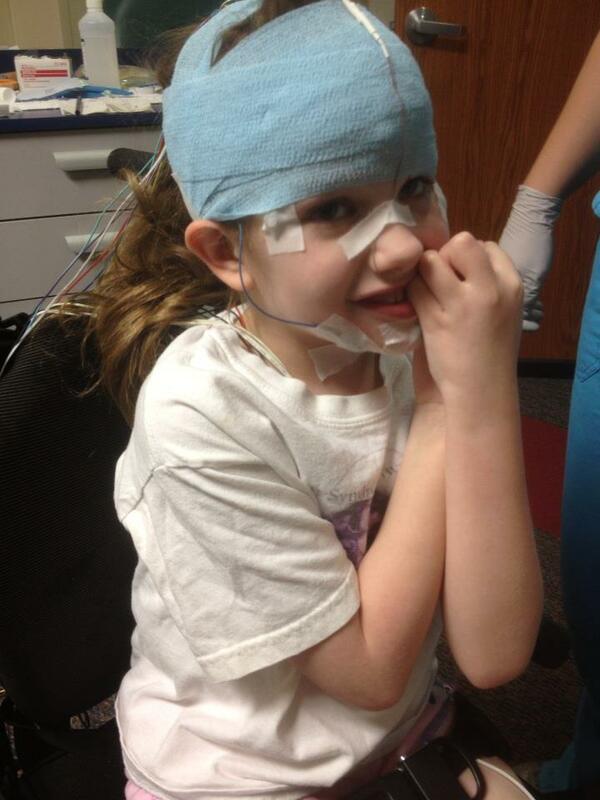 Children's Mercy is working with us to get Abby a proper car seat so the biggest worries will be taken care of. The rest we will have to replace in time but for now we couldn't be happier. Thank you Car Santa, Mitch,Rex,Terry and everyone from KSHB. We really appreciate it! The above link is the story of how our van and many of our items were stolen on Thanksgiving. We discovered it as I was almost ready to serve dinner. I have had phone call after phone call and message on how people can help. I can honestly say that I don't know what to say. I understand as I would want to help a friend of mine if they were going through the things we are. 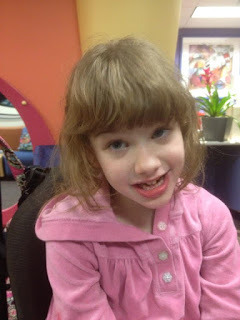 We are in process of setting up a Special Needs trust for Abby that can pay for anything she needs. The papers have been drawn up and we are just waiting to sign them and we have contacted the lawyer to move up the process ASAP. It already has a name. Abigail M Vejrosta Trust. What we can do for now is take donations for this through Paypal. All donations or gifts will be held in this account until the bank has opened the trust. If anything else comes up or a better solution I will let you know as soon as I can. If you would like to contact me you can do so by emailing me at vejrfam@yahoo.com. 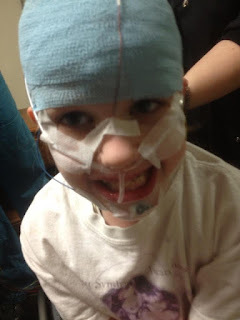 Donations or gifts can be made on the right panel of this blog or by clicking HERE.